At Silver Lakes in Lakeland, you will absolutely fall in love with this tight knit community. Nestled away from the hustle and bustle of big city life, this gated 55+ Adult Community features an active, yet relaxed lifestyle. There are about 150 single family homes situated featuring lovely walking trails connected by beautifully designed bridge, small lakes, a private junior Olympic size heated swimming pool complete with sauna, jacuzzi, and a barbecue area. These very affordable homes were built in the 90s and most of the homes have been updated to today’s lifestyle. Silver Lakes in Lakeland has amazingly cozy homes of contemporary style that you will surely fall in love with. Homes here vary in sizes, colors and features, there are no cookie cutter homes in this unique community. This active adult community is convenient to Interstate 4 (I-4) and is approximately 30 miles from Tampa and roughly 45 minutes to Orlando Florida. 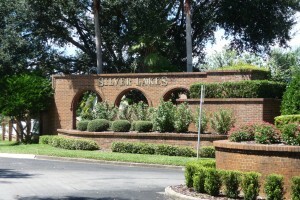 Silver Lakes in Lakeland offers all the necessities that you will need with only a close to home. There are grocery stores, banks, the Lakeland Regional Medical Center, and churches, which are all very conveniently located. You will find that you are convenient to the beautiful white sandy beaches of Florida, with only a 30 minute commute. With Lakeland’s convenient location you will find that you are not in the middle of nowhere but in the middle of everything.